We have seen a major surge in people living sustainably. That sustainability has also carried over to the automobile industry and we are seeing more electric cars on the road than ever. If you are an electric vehicle owner, the ChargePoint Home Electric Vehicle Charger is definitely something that you have to own. The ChargePoint is definitely one of the most compact EV chargers that we have come across. To be frank, it is not much larger than a letter-size sheet of paper. In other words, it doesn’t only function seamlessly, but it takes up almost no space in your garage. The circular LED ring shows you the status of the charger. You can also set a schedule from your mobile. This specific unit functions on 32 amperes of power. Consequently, this charger allows you to charge your EV extremely quickly. So much so, that you can get a RPH (Range Per Hour) of 25 miles out of it. Check out the installation video below. 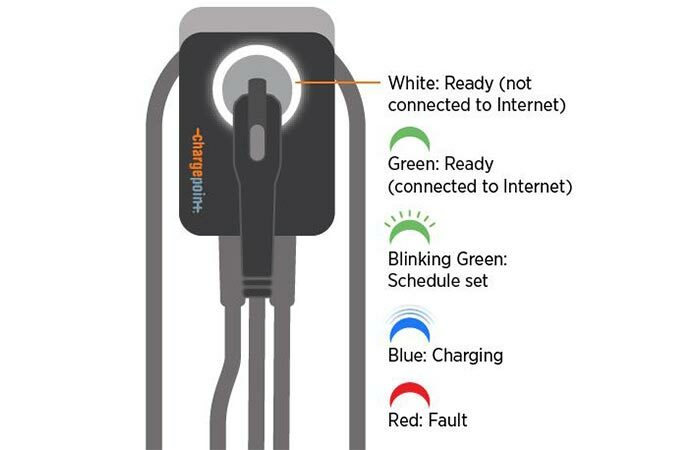 The ChargePoint charger can also be connected to the internet so that you can simply turn on, turn off, or even schedule charging. You can do this right from your smartphone or computer. 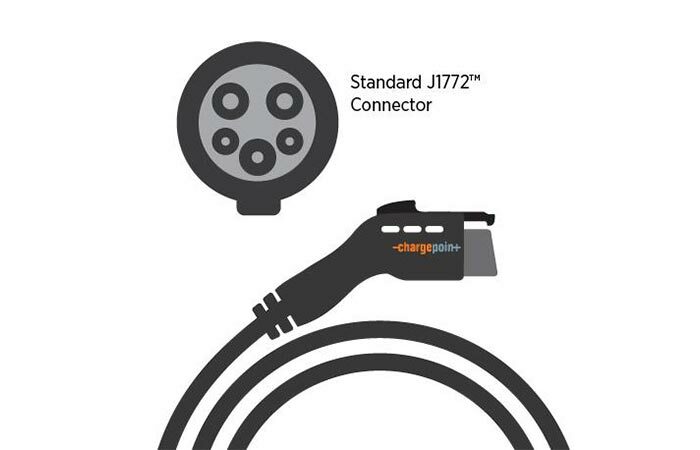 The J1772 connector is a compatible with almost all electric vehicles on the market today. Furthermore, this unit has a circular LED ring that informs you of the charging status and internet connectivity. It also has a cord with your choice of an 18’ or a 25’ charging cable that features a standard J1772 connector. Essentially, this means that this electric car charger can charge almost all EV’s on the road today. It truly is a space saver, being no larger than a letter-sized paper. If you wanted to install it outside, we’d suggest the hardwired version. However, the plug-in version can be moved.